Introducing: The Android Basics Nanodegree By Google! It’s a great time to become an Android Developer, and there have never been better opportunities to start preparing for a career in this rapidly expanding field. Our new Android Basics Nanodegree by Google offers aspiring developers with little to no programming experience an exclusive opportunity to get started on the path to an amazing career in Android Development by learning directly from experts at Google. 50 Android Developer Nanodegree Scholarships From Google! The best part? 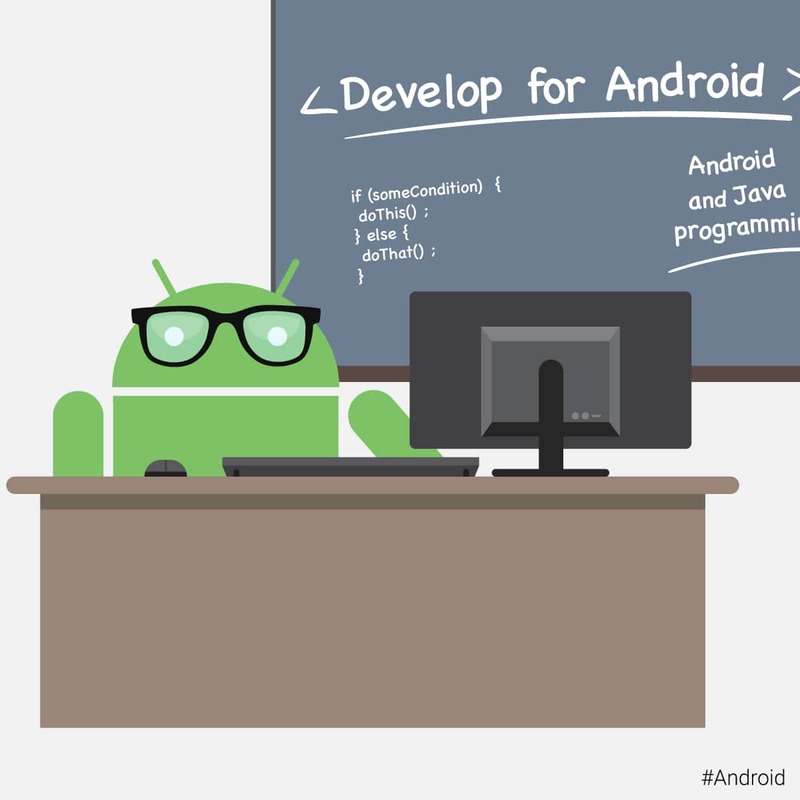 Google will award the first 50 students who complete the Android Basics Nanodegree a chance to win a full scholarship to enroll in our career-track Android Developer Nanodegree program. Successfully transitioning to this advanced degree program is a critical step for becoming an in-demand Android Developer, and with the support of Google, students now have a powerful financial incentive to pursue their career goals. Enrolled students will be able to monitor their Nanodegree progress on a public leaderboard, and Udacity mentors, coaches, project reviewers, and student support experts will help students stay on track from enrollment to graduation. There are currently 1.4 billion activated Android devices in the world today, and that number is growing. In India, China, and the EU5, Android holds a significant market share, and demand for developers is growing dramatically. Mary Meeker’s recently released Internet Trends Report predicts another year of significant gains for Android vs. iOS, and countless employment studies have placed App Developer at the top of their “Hot Jobs” lists, with salary growth estimates running above 20% year-over-year. Right now, there are well over 3,000 open Android Developer jobs on LinkedIn. Indeed.com shows nearly double that. Do those numbers have you thinking about starting to build your own Android apps? Maybe you even have a great idea for an Android app, but don’t believe you’re capable of building it yourself? Well, think again! Most importantly, students will learn how to transform an app idea into a technically sound plan that can be implemented successfully. By the end of the Nanodegree, students will be ready to take the career-track Android Developer Nanodegree program, and will have built and submitted 10 projects, 8 of which are functional apps. Specialized courses built with—and taught by—Google experts. Learn-by-doing projects that enable students to create real products, and build professional portfolios. Expert project review and personalized feedback delivered within hours of submitting. Mentorship, coaching, and career services. Face-to-face learning opportunities through Udacity Connect. With the addition of Android Basics Nanodegree by Google, we now offer every single student a point-of-entry into the world of Android Development, whether they’re just starting to program, or already building apps.